Not only a fantastic doctor whom I'd recommend to everyone but also a very warm person. He really listened to meand took time to explain exactly what was going on and how we will solve the problem. Thank you very much Dr Alessi! Not only a fantastic doctor whom I'd recommend to everyone but also a very warm person. He really listened to me and took time to explain exactly what was going onand how we will solve the problem. Thank you very much Dr Alessi! Dr. Alessi was AWESOME! Great vibes and a fun sense of humor led to a relaxed environment which really helped. Thestaff was nice and friendly. However, the wait time was quite long even after being asked to change my appointment time. Other than that, great experience! Dr. Alessi was AWESOME! Great vibes and a fun sense of humor led to a relaxed environment which really helped. The staff was nice and friendly. However, the wait time wasquite long even after being asked to change my appointment time. Other than that, great experience! Dr. Alessi has established a world-class practice over the past 17 years. 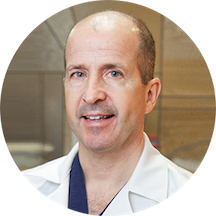 Specializing in both facial plastic surgery and head and neck disorders, he is board certified by the American Board of Otolaryngology/ Head and Neck Surgery. Dr. Alessi is an internationally recognized expert in voice disorders with extensive publications and presentations. He is the doctor's doctor for sinus disease, having given over 200 lectures on sinus disease and surgery. He has been featured in several "Best Doctors" lists. With his unique expertise, he has developed a facial plastic system to maximize cosmesis and to maximize the function of the nose and face after the surgery. He has pioneered the use of targeted sinus surgery with nasal cosmetic and reconstructive surgery. The most difficult cases worldwide are referred to Dr. Alessi for his innovative surgical skills. He spent 4 years as chief of the division at Cedars-Sinai Medical Center and is as a clinical assistant professor at UCLA and Cal State LA. A recognized innovator, he is owner of 2 patents, and is still involved in research. Great doctor, very helpful, good conversation. I went to see Dr. David because I found a small lump on the right side of my neck, and occasionally got minor ear pain. Dr. David throughly checked me and answered my questions. He is very professional and super helpful. Definitely recommend. Great! Dr. was thorough, looked through my past medical records and asked many questions to understand the background. Was blunt and straightforward about my need for a repeat surgery, and recommended other drs for other areas (such as allergies)to make sure that we can be on top of things to make this the last surgery I will ever need. Very thorough, concise, and discussed what future treatment will be like. Great! Loved the visit. Super knowledgeable, no wait, and appointment never felt rushed. Highly recommend! The office visits are always super fast and everyone is very kind. Dr. Alessi is great! He listened to all of my concerns and I felt confident after leaving that all of them will be taken care of. His staff is very friendly. I will definitely return. MADE ME LOOK INTO A MIRROR AND SAY OUTLOUD THE FEATURES I WOULD CHANGE. No woman or man should feel insecure or not beautiful. He left me feeling very uncomfortable. Didn’t look me in the eye, told me everything I shouldchange with his procedures (which I didn’t ask for), rushed appointment, and aloof manor. I will not be returning. Treated very friendly and professionally, had the feeling the Dr listened to my problems and took the time to properly check the symptoms. I took my four month old son to see Dr. Alessi because he had what appeared to be a cough and congestion for over 3 months. It sounded like there was liquid in his lungs. I had seen four different pediatriciansabout the issue, all of whom told me my son had a cold and should be on antibiotics. Within 15 minutes, Dr. Alessi diagnosed my son with something that isn't serious and he will outgrow in less than a year. It's comforting to know my baby doesn't have a serious health condition. Dr. Alessi is very kind, personable and efficient. I highly recommend him. Doctor Alessi assisted me with what I felt was an emergency with my ears, and was careful, kind, and thorough. He put me at ease, and worked with me, even though I didn't have insurance. I paid out of pocket, and it was a life saver for me. He was amazing. Super bedside manor and didn't have me waiting. He knew right away about my nose infection and made me feel comfortable. I loved Dr. Alessi. He quickly understood what was going on, didn't try to "sell" me anything like other doctors, and made me feel like he was totally available in the future if and when I needed. He also was easy to talk to. Very nice staff and office. He was professional and personable. I am having a minor procedure, so I felt even with a small problem he gave it his full attention. I think he is a good doctor, but I had to wait for 50 minutes to see him. My appointment was at 8:30 a.m. and I came in at approximately 8:33 a.m. and I had to wait until 9:20 a.m. tosee him. There was an excuse that my insurance wasn't going through and I told the front dsk repeatedly that I would pay cash for the appointment. Just very disrespectful to me when I have to wait for 50 minutes, when I am one of the first appointments in the day. I would understand 20 minute wait, but 50 minutes. I hate writing bad reviews too. I think he is a fine doctor, but the person that schedules his appointments should be fired. I told the front desk that I had to go to work, but they just really didn't care. At this point it is a toss up, he is a good doctor, but just very disrespectful to me and himself, by making people wait so long. If its you're first visit allow time to sort out the parking and oneway streets as the area is a bit tricky. The visit itself was fantastic. The women in the office were friendly and caring. Dr. Alessi was thorough andpleasant. The office is beautiful. They even took a minute to inform me I hadn't reached my deductible and told me how much the procedure would cost and gave me the option to forego it without making me feel uncomfortable discussing finances vs. health. The office called in my prescription and I drove straight to the pharmacy from my appointment and it was already ready for me. I was late for my appointment (I hate being late! Waze sent me a bit wrong and then the traffic and the one-ways derailed me) but the staff still fit me in and I felt cared for. I just relocated so its great to know I have a great new doctor! My visit is moving forward with testing, however they claim that you never notified them that I made an apt at 0845 /Feb 2 online, which u changed to 12:30p Feb 2. They have no record of either appt, but theyfit me in anyway as I brought all of my emails from U confirming appts. That is truly bedside manner! Thank U Dr. Alessi It's a good thing that I called to confirm . I never took the gift u offered me for changing appts and any inconveniences. I said No Thank u. Now that I know how poorly things were handled I shud have asked for 2 gifts- one for me, one for the Dr. The doctor was very nice and I felt like I was in good hands. He did a simple test that another doctor never took the time to do, and it gave me peace of mind. The front desk staff were also super friendly and warm. I saw Dr. Alessi this morning, and although our actual time together was short [I was in a hurry to get back to work as well, so it worked out for me], his staff was just terrific, and I loved thefact that I could complete new patient forms online via the zocdoc website. My whole experience was fast, clean and just so professional! Answered all my questions and performed an endoscopy to double check what was wrong with my sinuses and throat. Helped more than my other doctor. Dr. Alessi and his staff were terrific with my 12 year old son. Next time I need an ENT, he's going to be my first choice! great clean waiting room - super helpful staff, in and out real easy! The staff was very helpful, Alison is amazing and the Dr. is excellent; personable, friendly, concerned. Excellent overall - highly recommended! Dr. Alessi was efficient and thorough. He was pleasant and made me feel comfortable. I would definitely go back! This doctor is great, and his staff are so professional and personable. So thorough and friendly, answered all my questions, was social and made me feel comfortable. Specialized in voice disorders and took the time to assess mine and give me a protocol for treatment. So happy with my appointment. the office was very nice and the staff was very friendly and accommodating. I did wait quite a long time to be seen but when Dr. Alessi finally saw me he apologized for the wait and that there was a mixup and he saw another patient before me. My hearing issues were addressed and I'll be going back for a follow up. He's very caring, and knows his ears! Excellent, in all facets. Thorough.. and although I could see he was very busy, I was made to feel that I was a priority..something that I am sure all of patients feel.